Yesterday was one of the few times a year that a steam special passes close to my house so I planned to make the most of it. Tangmere is always a locomotive I liked seeing, the weather was cold but sunny which is great for photography as the smoke and steam effect is really enhanced and I had the day off. However for me that was about as good as it was going to get for me today, being stuck in traffic on the way to Cosham meant I arrived a minute before she was due so had to quickly run onto the station platform rather than me prefered shot on the bridge a couple of minutes down the road. Although its not a bad shot its not the shot I had planned. 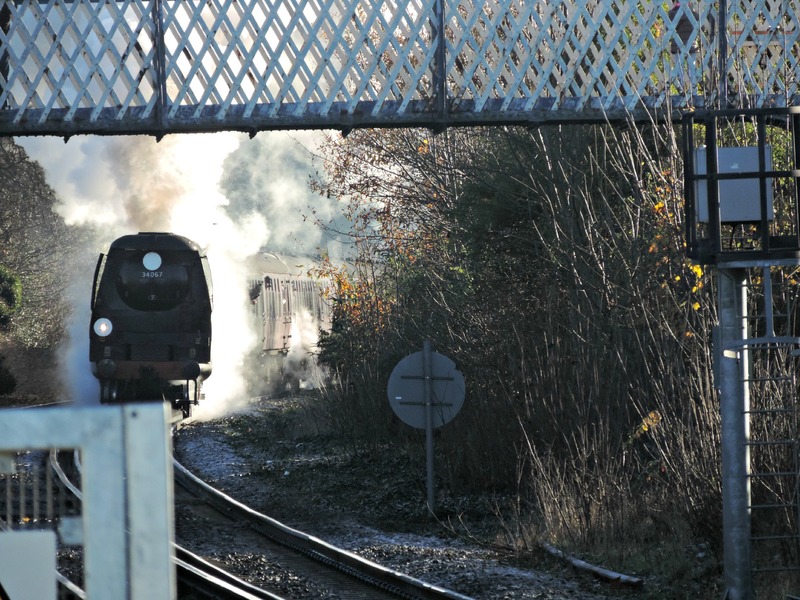 This photo shows a photographer standing on the footbridge where I had originally planned to go and Tangmere looks amazing, so will be keeping an eye out to see if his photos appear online. 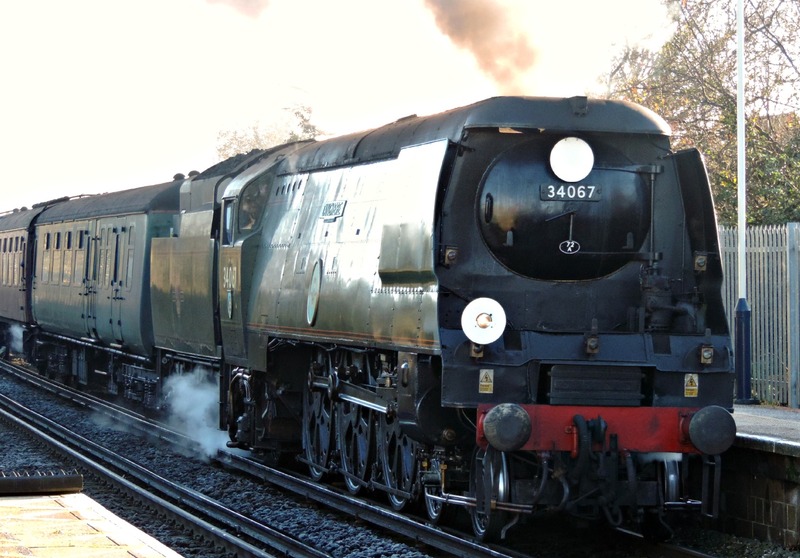 The locomotive itself put on another great performance as she steamed past with her unique unrebuilt Bulleid soundtrack. Like any good rail enthusiast would do I put it behind me and made sure I got to the next spot nice and early to ensure I didnt have a repeat. On the left was my practice photo to see how the lighting was using a couple of local commuter trains and on the right is my result, as I was lining up my shoot my mobile phone went off which distracted me just long enough to ruin the photograph. Not particularly happy and to make matters worse it was just a text from the wife to remind me to get some milk. That said she was traveling at 60mph at this point and she sounded amazing and it was worth the trip just for that. Oh well some you win some you lose.